I’ve been practicing divination for about two decades now. I started with Elder Futhark runes, and then tried tarot for a while before falling deeply in love with the Ted Andrews Animal-Wise deck, which I use as a totem card deck. I’ve tried a few other systems, and I’ve pretty consistently found that if I understand how the system works and what each component means, I can use it pretty successfully. Some of this is because I have really good pattern recognition. It’s not surprising–I’m an artist, and I have a fair amount of visual-spatial intelligence. So once I know the lay of the land, as it were, I can pick up the patterns within it. I also possess a decent amount of empathy–not the sort where people claim to be able to sense others’ emotions even with no real contact with them, but the sort every emotionally healthy human has, the empathy that we evolved as part of being exceptionally social, communicative creatures and which we exercise through both verbal and non-verbal communication. You might be amazed how much active listening plays a part in good divination. But what I want to write about now is the issue of projection. In its original psychological context it involves someone denying a quality in themselves while accusing others of displaying the very same quality. But the meaning of the word has drifted a bit over the decades, and can also mean when we imagine that the other person is experiencing or thinking the same thing we are, to include when we’re aware of it. I’m going to use that latter, less strict definition for the purposes of this post. It is impossible to give someone a 100% unbiased divination. This is just the truth when it comes to filtering any information through the mind of a human being: we are invariably going to add our bias to it, no matter how slight. Sometimes it’s as small as what words get the most emphasis in your relaying of the information–or even what words you choose to use. Other times, a reader may make their bias very clear, even making suggestions as to what the querent should do. Neither of these are necessarily bad in and of themselves. I’ve had readings where I needed to be very careful of what I was saying and how I was saying it because I needed to be sure the querent got as neutral a reading as possible. And I’ve had some where the best tactic was to be more directive, particularly when the message seemed urgent. As with anything, it depends on the situation. But it’s important to be mindful of projecting your biases when you read. Let’s say you’re reading tarot with the Rider-Waite-Smith deck or one based on its imagery. The cards have some historical meanings, as well as others that have been built up over the years. The images in the cards also have certain cultural meanings associated with them. We know the Fool is the Fool because he is carefree, not really paying attention where he’s going, and looking like he might be about to walk off a cliff while his little dog tries to warn him in vain. He is not opening the mouth of a lion like Strength, or tumbling through the air from the Tower. But we, in the end, add our own spin to these cards. Some people see the Fool as a shiny new beginning, a reason to step forth onto an untrodden path. Others view him as being too naive, and one should be cautious before blazing a new trail. He’s also been seen as someone wasting their time on frivolous things. It all depends on the reader and what biases we place on the Fool. This is where projection comes in. A reader who sees Fool-ish people as lazy and directionless may urge a querent to move beyond the Fool’s part of the journey. Someone who appreciates the enthusiasm of youth, on the other hand, may tell the querent that the Fool is a great sign of energy and a return to innocence. All of these are potentially right, and it’s okay if your biases affect how you personally interpret a card and what meanings seem to fit it best. A moderate amount of projection is necessary in order to make use of any divination system; it’s part of what makes it your reading instead of a reading given by that other person at the next table at the psychic fair. Where projection can become problematic is where our biases are too influential on what we tell the querent. It’s one thing to interpret a card; it’s another entirely to tell the querent whether this is good or bad. The reader who sees the Fool as too foolish may say “This card represents someone who hasn’t yet settled down and found their path in life; does that sound familiar to you?” rather than “The Fool is the card of immature people who can’t even figure out what they want to do with their lives, and maybe you need to get more serious about things.” Occasionally there will be a time when that latter, more hard-hitting message is appropriate to convey, but for the most part it’s better to at least open your discussion of that card with the more neutral statement and see how the querent responds before going on. So how do you keep your projection in check while making the most of its usefulness? Primarily be being aware of it. 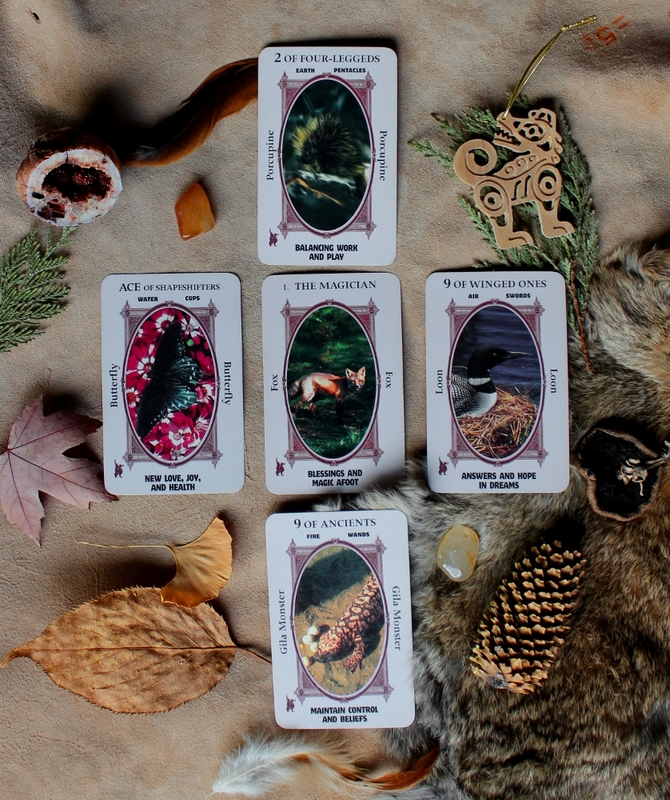 First, look at why you assign a particular meaning to each card or other component of your divination set, and if there are certain interpretations and patterns that keep coming up whenever it arrives in a reading. This is especially important with divination systems where each component can have multiple interpretations. If you keep records of your readings, check for those same patterns where you keep assigning the same or similar meaning to the same card/symbol/etc. The other part of awareness is to consciously pay attention to your biases as you’re reading. The next time you give a reading to someone else, pay attention to how much of what you say is your bias or judgement being laid out on the table versus straight information about the card/etc. in relation to the querent’s question or situation. How many times are you interpreting the card for them versus letting them decide what it means for them? And finally think of whether that querent wants you to tell them the answers, or whether they just want information that they can then chew on a while. A good way to gauge this is to convey the meaning of the first card as neutrally as possible, and then ask them what they think. Some may have a lot to say about it, but there are also those querents who say “Well, I don’t know…” With time you’ll be able to gauge not only how active a querent wants to be in their reading but also be able to adjust your amount of projection as the reading proceeds. Did you enjoy this post? Consider having me give you a totem card reading! *nods* I figured you were pretty good at the spiritual hygiene end of things 🙂 And yes, it’s a lovely deck; I’m very fond of it. You can always get updates on the Tarot of Bones at the website; the right sidebar has recent blog posts.